ISLAMABAD: Healthcare experts have questioned the rationale behind the decision to facilitate the tobacco sector by lowering taxes on cigarettes and allowing companies to increase sales. A brief prepared by the Pakistan National Hearts Association (Panah) for a Senate special committee on the causes of the decline in tax collection from the tobacco sector has highlighted that the health costs from smoking in Pakistan is around Rs143 billion per year. 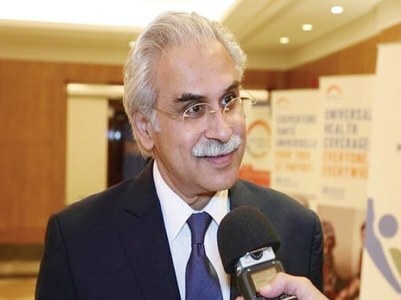 “This includes direct costs related to healthcare expenditure and indirect costs related to lost productivity due to early mortality and morbidity,” Panah said. The special committee was formed after a complaint by the Auditors General of Pakistan that taxation on cigarettes has been lowered, allowing them to be cheaply available in the country. Panah added that the tax collection body should have conducted its own survey regarding illicit cigarette trade. The brief highlighted that the Federal Board of Revenue’s (FBR) decision to cut taxes on cigarettes was not a consensus decision, as the matter is not related to revenue collection but to the negative impact related to health consequences. Panah said the three-tier federal excise duty system on cigarettes was not required, as multinational tobacco companies had been making a profit for the last five year. The association demanded an audit of the tobacco industry, saying the FBR had not audited tobacco companies even after recommendations by the Senate Standing Committee on Health on Dec 5, 2017. Panah also cited an independent survey in Pakistan that found that the volume of illicit trade was no more than 9pc of the total volume. It referred to a research report by the University of Bath in the United Kingdom that stated that major cigarette companies were overstating the black market for cigarettes to push government to cut tobacco taxes. The brief said around 83 billion cigarettes were produced in 2017-18 in Pakistan. The market share of local producers was between 2 and 4pc, while that of multinational companies was between 96 and 98pc of total cigarette production. The new system reduced taxes on the cheapest category of cigarettes – those priced below Rs58.5 per pack – from Rs32.98 to Rs16 per pack in 2017, and allowed companies to manipulate the retail prices of their most popular brands.